So I haven't really used SE since I got it which is a real shame, the main reason is the 3rd party developers level of product and support is just awful. I know some of you have never had an issue and some of you have. I want to share my experiences and what I expect and what I feel SE could do to help. I currently have PWA from SEAO and it cost me $90 and it's very poor, it didn't really enhance my website and if anything made it slower on mobile. They have got back to me on a support ticket around this but I now choose not to use it. A vast majority of my plugins come from SES and this is where I have real problems. on a clean install, several of their plugins break my site or part functionality, I feel on any clean install installation of plugins should go with ease and no or minimal problems. Currently, the advanced wall comments and activity plugin has made my feed nonworking. This happened last time on my clean installation and when i make support tickets to SES they don't actually tell me what they fixed other than it should be working now. This is bad as if it ever happens again I have no idea how to resolve this issue. Admittedly most of my plugins aren't certified and bought directly from the developer's websites. I'm told buying only certified plugins helps with this issue, however, the short profile links plugin also broke my site. It would be great to also see some of these plugins actually updated when working they do their job however they look very dated in design and not very responsive in places. If I'm going to spend $50 on something I expect it to be perfect, I don't expect to spend a few days trying to get it resolved. Another thing that would be great is to stop trying to upsell me in support. SES all through my last ticket around their plugins creating an error file that was increasing 1GB every 20 minutes they were trying to upsell me a PWA application which I already had through another developer. We have the forums and it's great when users help other users try to resolve some issues but it would be great if these 3rd developers created support threads for their products and actually shared fixes with us, updated their plugins with these fixes and continued to develop them further rather than abandon them. Maybe lock these forums down to verified owners of said plugins. I now will have to go through days of support just to get something that SHOULD work out the box fixed with no knowledge of how it was fixed or restart everything again which is something I don't want to do. Making a backup every time i install a plugin shouldn't be needed to counter broke plugins. I understand that some plugins may conflict with others but other than PWA from SEAO ( which isn't installed) all mine are from SES. 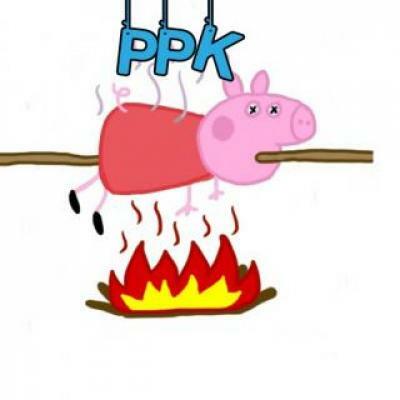 @PeppaPigKilla: We understand your concern about issues being fixed. In this regard I want to update you here, that all the fixes which are doing on your website are being in our plugin also. So, if you choose to upgrade the plugins, then you will Not have to resolve anything for those issues on your site. Yes, Certified plugins are suggested to be used on the site and we also recommend the same. We have almost got maximum plugins certified and we are bringing an upgrade out for the clients who are using the licensed copies of our plugin to upgrade those plugins at their end. Regarding the Upsell: I had personally checked all the ticket threads with you and found only 2 instances: 1 for new plugin release update and discount and other 2, when you reported the issue in other 3rd party plugin, our team suggested you our plugin. We are a company of ethics and we assure you that our intentions are never to force a client to purchase our plugin. It is your website so it is your choice of products. 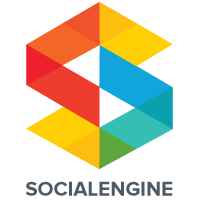 Yes, at some instances there can be conflicts between 2 products or the conflicts of dependent features, for which SE Certified plugins are again a rescue. In the certified product, you get what is depicted in the screenshot and written in the description of the product. So, we highly recommend all the client to purchase Certified products as you know those are not modifying SE Core. If you still have any issues in our products on your website, then we request you to please file a support ticket by logging into your account, so that our team can fix the issues. Heres my issue with some of what you said. So I have to repurchase them again? I only see 1 winner here and it isn't me. In this regard I want to update you here, that all the fixes which are doing on your website are being in our plugin also. So, if you choose to upgrade the plugins, then you will Not have to resolve anything for those issues on your site. My latest install was the latest plugins from your site so this statement isn't true as I have issues. Activity feed again. No, you do not have to purchase the copies again. 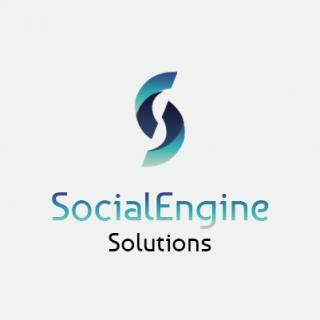 We have already upgraded most of our plugins for Certified guidelines and are continuously updating our clients through Blog Posts, Newsletters, FB & Twitter posts. I have checked with our team again Today morning and I am told that you are not using the latest version of our products. We will upgrade the plugin/theme on your site and will update you asap. First off great to know they don't have to be purchased again, however, where will we your customers get the certified plugins from? In the SE marketplace, we have to buy them. Secondly, how exactly does your team know I'm not using the latest plugins? Check the versions and the dates i downloaded them, you can see I am, or you haven't updated them on your website for customers to download. I no longer have an active site due to the newsfeed plugin breaking my site again, so there is nothing you can fix and this is with the latest version of your plugins as per the picture. Since we are not selling certified plugins from our site, we are providing upgrades to our clients who have previously purchased our plugins via email. We are sending our newsletters and making blog posts, so the clients who want upgrades can file a support ticket. We are sending the latest file by email. We have checked from your website >> Manage Package section. We apologize, but due to Certified terms we are not selling them from our website now and thus we are providing latest files by email. We have checked and found that your website and FTP details you provided are not working. Please check the ticket and reply to our team. 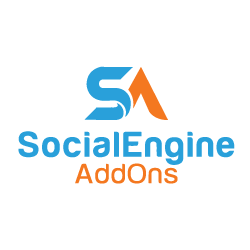 I would really appreciate if you can share the issues you're facing on your website while using SEAO - Mobile / Tablet - PWA Plugin, with our Support Team at support@socialengineaddons.com. We will try our best to fix them for you in the least possible time. @SEAO, it's best to use the displayname that someone uses here at the community when responding unless they say otherwise. Thanks for pointing this out Donna! We will take care of it from now onwards. They are not working because I removed the website because it broke after installing the activity feed plugin. I will reinstall and send you the details on the fresh install. I would greatly appreciate you telling me what you did to fix the issue too in case a similar problem arises and I can do it myself or help any other users who may have an issue and post n these forums. We will be waiting for your reply. Also, if you want our teamto do a fresh installation, then please let us know. To help you out, we will do this at no additional cost. I gave you the details yesterday. I did a clean install and gave the information you need in your support ticket. I checked it last night and can see that you have logged in and tried to install the activity plugin. I can also see that it broke the css of the website. I have checked with team, there was some CSS issue on your website which we had fixed Yesterday only. I have checked right now and the site is working absolutely fine now. Please get back to our team if you face any other issues. I need to add clarity to this post as you have missed bits out. My site was bare bones and installed just so you could install the activity plugin. No other plugins or themes were installed, it was full on new install. You installed the news activity app and it broke the websites CSS, I don’t know why it did it and I haven’t checked the recent support ticket so I’m expecting you to tell me why your plugin broke the style on a new site and what to do if it happens again. I have checked and it is working fine as of now. I also expect you to have made the additional fixes to your plugin so that this doesn’t happen to anyone’s else’s site. I need to add clarity to this post as you have missed bits out. My site was bare bones and installed just so you could install the activity plugin. No other plugins or themes were installed, it was full on new install. You installed the news activity app and it broke the websites CSS, I don’t know why it did it and I haven’t checked the recent support ticket so I’m expecting you to tell me why your plugin broke the style on a new site and what to do if it happens again. I have checked and it is working fine as of now. I also expect you to have made the additional fixes to your plugin so that this doesn’t happen to anyone’s else’s site. @PeppaPigKilla: Our team changed the mode of your website - Production to Development which resolved the CSS issue. So, please make sure to always change the mode of your site after you install any new theme or plugin on your site. I am grateful you have installed this. However it wasn’t me who installed it in the first place, it was yourselves. So that error was caused by yourselves not me. I’m starting to think the communication between yourselves and your technical team isn’t always accurate but none the less thank you. Thank you for confirming your issue is fixed. I will make sure we have a clear communication next time.